LPM is a unique opportunity of seeing different applications of the live video performance executed by more than 180 artists in more than 120 groups coming from all over the world: China, Uruguay, USA, England, Poland, Hungary, France, Croatia, Serbia, Macedonia, Spain, Germany, Denmark, Portugal, Italy, unified by one and only big interest in video-art, performances and above all live-acts. It’s the third edition of LPM, produced and organized by Flyer Communication (flyer.it), FLxER.net (flxer.net) and Linux Club (www.linux-club.org), in collaboration with Radio DD, Deliriouniversale.com 369gradi and many important international partners, that will bring to the Linux Club in Rome, passionates of digital, analogical, software and hardware techniques and technologies, but also artists who are working about the interaction and fusion between new and different forms of artistic expression. At the center of this meeting, there is the FLxER project, a free video mixing software, designed by the research laboratory of Flyer Communication agency, and a web-community based on the OpenContent of more than 7000 people sharing, since 5 years, 4.000 files video in a sort of video blog. 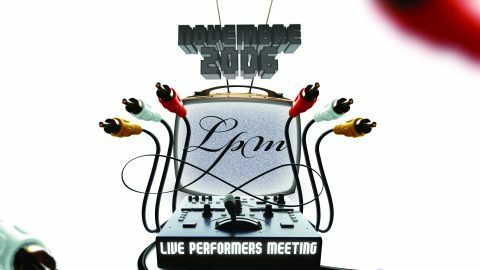 Visions of LPM 2006, is the title of the preview, presented in Rome, in San Lorenzo district, as part of multidisciplinary festival Enzimi, edited by Zone Attive (Azienda Speciale Palaexpo). A van was used for the realization of itinerant impromptu video projections, entrusted to the collective of VJs and video artists FLxER Team, on the sound of RadioDD. LPM isn’t only a meeting, but it’s also a live show, where the public will have the opportunity to see a selection of international artists active in the LIVE VIDEO PERFORMANCE, and “feel” how the different languages of music, video, theatre, graphics, can be variously combined by creative sensibility of the artist-demiurge, the creator of a new way of perceiving and communicating. The programme of the event is characterised by live video performances open to the public (“ON” area), applied in combination with theatre, concerts and djset, and a number of particularly initiatives for the guests of the meeting (“OFF”area): workshops, showcases, meetings. The “ON” area, intended to accommodate a wide audience, is characterized by the opportunity to see the different applications of LIVE VIDEO PERFORMANCES by national and international artists. From midnight onwards, the video artists can perform using the 5 consolle video and over 10 available video monitors and projectors. The “OFF” area, intended to the Meeting, is an occasion of confrontation between vj and video artists, working in LIVE VIDEO PERFORMANCES, and it’s conceived as a separate area, frequented mainly by “the insiders”, with a programme that alternates meeting spaces, workshops, and showcases of projects and products. LPM is a meeting and a festival for the program’s flexibility, openness to new members and contributions, the freedom to participate and the opportunity to perform during the evening. LPM will be an open space to freedom of expression, research and experimentation, and improvisation it’s an intrinsic feature. Registration to the meeting and public entry are FREE.